We are a group of 7 master's students (Paul Leingang, Emily Ruhl, Jen Joseph, Kristen Fellows, Taylor Deemer, Mel Brennan and Victoria Simons), a single undergraduate student (Ashley Barnett), and a professor (Dr. Danielle Dixson). We have been brought together by our graduate level course; MAST 667 - Debating Marine Conservation. Our class is working together with a group of Lewes locals to try and promote change. We ultimately would like to ban the plastic bag from Lewes and Rehoboth, and eventually, the entire state of Delaware. We hope you will join us on our journey to become a more sustainable community. Watch our short video for our proposed commitment to a reduction of plastic bags. 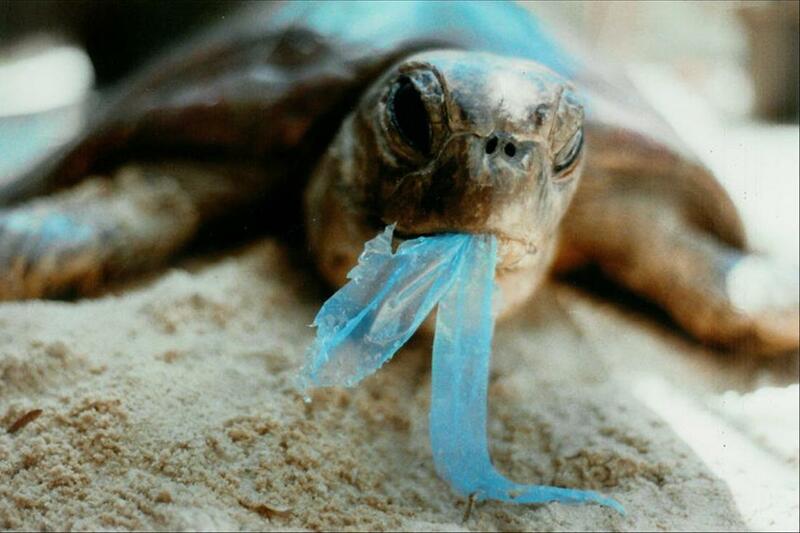 Turtles often mistake plastic bags for jellyfish which is one of their main sources of food. Squirrels frequently eat whatever they encounter. Most times, they can't differentiate between plastic and food. Our planet is littered with tons of plastics. We're changing that. "Sustainable development is the masterful balance of meeting our own needs without jeopardizing future generations' ability to do the same."